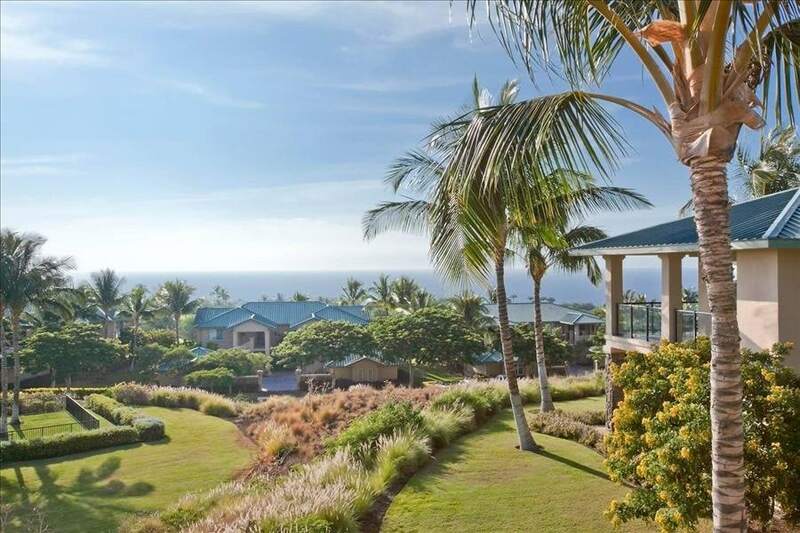 Kumulani Heights is a private gated community and is located and accessed through The Westin Hapuna Beach Resort entrance. The unit has central air-conditioning, custom interiors, spacious great rooms, fully equipped kitchens, large lanai, and private detached one car garage. The Kumulani also features it’s own private pool (50 ft x 22 ft) with spacious sundeck and recreation building with BBQ grille, showers, and restrooms. This “No Smoking” unit has a King bed in the master bedroom and two twins in the guest bedroom. There is also a sofa bed in the great room and a separate Den with a full size bed. The square feet of this upstairs unit is 1,925 square feet with a larger kitchen. Listed Special Rates plus $250 Departure Cleaning Fee plus tax.